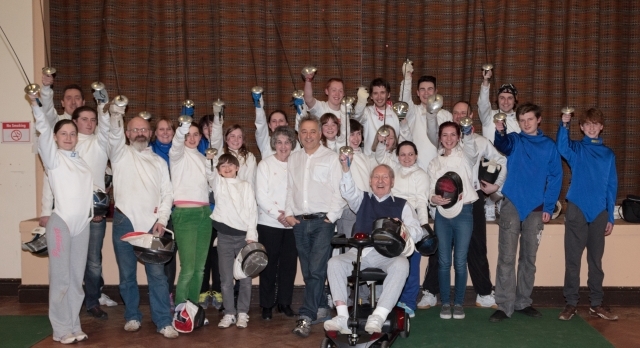 We are a friendly, relaxed club based in Crosby near Liverpool where we specialise in Foil but also practice Epee and Sabre. Fencers of all levels are welcome so if you a beginner looking to start fencing or an experienced fencer just passing through then you more than welcome to come along. Absolute beginners are always encouraged to join us. Our beginners courses for juniors and adults are run on a regular basis, typically once each term, to encourage new blood into the sport. Our courses aim to achieve at least Level 1 of the British Fencing achievement awards scheme, and also a look at refereeing. We also welcome people to visit and watch before committing to a beginners course.